And the pro-independence opposition party, the Democratic Progressive Party (DPP), hasn’t had it much easier. A monumental shift in the political landscape occurred when the DPP, headed by the fiery, staunch anti-China president, Chen Shui-bian, was elected in 2000. The country assumed that his election would also change the transitional justice process because of his record as a pro-democracy activist while Taiwan was still under martial law. But as Wu and others like him began digging into the pasts of victims of the White Terror, they found that many had made proud declarations of their Communist ties on their deathbeds — meaning that the prisoners were, in fact, guilty of the formal charges the Nationalist government had brought against them. This complicated matters for Chen, who could no longer vilify the martial-law Nationalists because it would put him on the side of their Communist victims, says Chang-ling Huang, a professor at Taiwan National University. This would have been politically inconvenient for Chen, whose party, which is opposed to unification with the People’s Republic of China, also has a strong anti-Communist bent. “The [old] narrative was that these people are just historical bystanders, they didn’t do anything wrong,” says Huang. Despite the uncomfortable truth, President Chen did institute a comprehensive reparations system. The move is seen as one of Taiwan’s most successful official transitional justice programs. (Critics say it’s the only one.) Late in his presidency, he made another move to make amends for the government’s past crimes by turning the vacant, abandoned Jing-Mei prison into a “human rights park,” the one that former political prisoner Chen Shin-chi now gives guided tours in. But the park dedication in 2007 coincided with a corruption scandal that eventually landed President Chen and his wife in prison, once again complicating the process. After alternating periods of rule by both political parties, the Taiwanese were beginning to realize their past could not be easily taken on by any one political group. And maybe it shouldn’t be that way, some say. “I think it’s demanding too much to ask for one party to really be the moral hero,” says Culture Minister Lung. But justice in the hands of democracy, she maintains, is still good for the country, in part because each new leader takes another step toward helping the nation heal. Some even say now that the current president, Ma Ying-jeou, apologizes too much for the 1947 massacre that his own party perpetrated, and which his predecessor almost failed to acknowledge. But justice is nothing without a judicial system people can trust. In Taiwan, many believe their judicial system is tainted with people loyal to Taiwan’s conservative Nationalist party. It’s a fear, says Professor Huang, that is not unfounded, considering that the party controlled virtually every aspect of political life for four decades. Indeed, people like former political prisoner Chen note with bitterness that some of the most egregious crimes from the martial law period have gone unsolved. And then there’s the delicate question of how to view the man who started it all, Generalissimo Chiang Kai-shek. An elaborate, reverential memorial that the authoritarian government built for him after his death in 1975 is one of Taipei’s key tourist attractions. His bald likeness is immortalized in a bronze statue resembling Abraham Lincoln’s in Washington, D.C., and tours of the museum devoted to him are heavy on artifacts and light on historical context. His statue even stands tall at many schools across the country. “For a democratic country, it’s kind of ridiculous,” Huang says. A lack of leadership from the government may be changing with the appointment of Culture Minister Lung, who this summer announced a national initiative to do the same. “This is an island of untold stories,” she says. But it’s a slow-moving project that doesn’t have time on its side. Many aging victims aren’t fluent in the official language of Chinese, preferring instead to speak in the Japanese of their former colonizers. Still others, who spent most of their lives under martial law, have been conditioned by experience to stay silent about what they long suffered. Still, Lung says that the value of the project transcends the challenges. She is determined to put every resource she has into making it succeed, including delivering mementos of long-lost loved ones herself. It’s a step in the right direction for a government that had previously taken no steps at all, according to former political prisoner Chen, who says that recording Taiwan’s collective memory is one of the most important things the country can do to right its wrongs. “We are getting back to the dignity of being a human being,” he says. Encouraged by Lung’s attempts to record the voices of the past, he is writing his own book about his imprisonment. One day, he hopes, it will be on display at the very place he was held behind bars. But simply documenting the unadulterated truth is not enough, he insists. Chen, along with former political prisoner Lee Chen-sung, says that Taiwan needs to develop an open and honest school curriculum about its past. 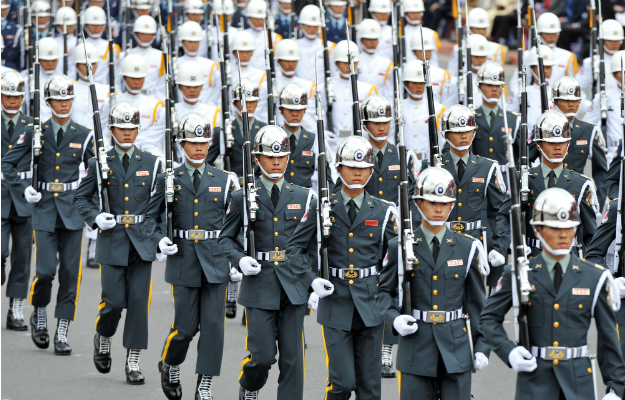 As it stands now, Taiwan’s martial law is seen as too touchy to be anything more than a history lesson. “We don’t talk much about it in school — it’s too political,” says one of the park’s English-speaking tour guides, Stephen Huang.